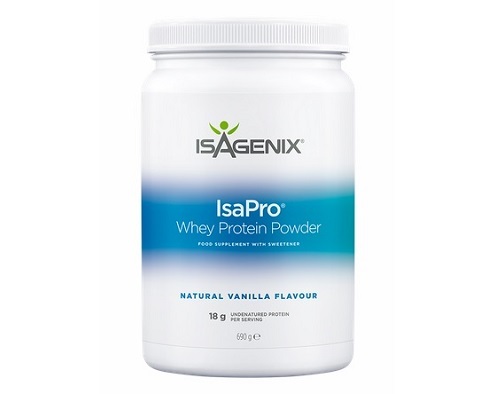 Isagenix IsaPro Whey Protein - Buy Direct in UK & Save! Isagenix IsaPro Whey Protein £ £39.00In stock! Order now! Do you work out and want to take your performance to the next level? You need Isagenix IsaPro. With 18g of protein per serving and packed full of branched amino acids, you'll build lean muscle and recover faster than ever before. For more information about how this product can benefit you, download the full product guide here. Build and maintain lean muscle. Whey protein is also a rich source of branched-chain amino acids. IsaPro is naturally sweetened with no artificial flavours. It is soy and gluten free. 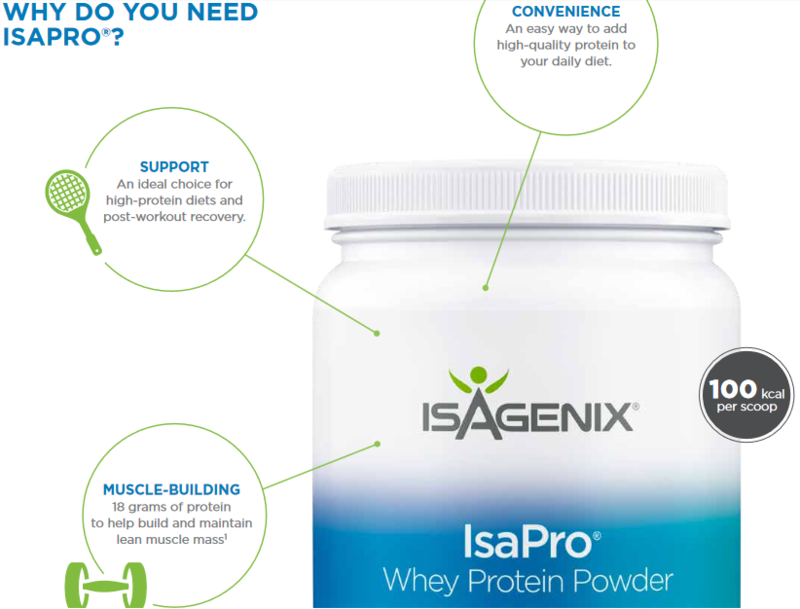 Why Do You Need IsaPro Whey Protein? Currently, IsaPro is only available in vanilla flavour in the UK. If you want to make the most out of every single workout and perform at your peak, purchase Isagenix IsaPro directly from us. All products are shipped from the local distribution centre in London, right to your door in no time at all. If you live in the UK, it’s time to join the Isagenix revolution and take your performance to a whole new level! How Much is Isagenix IsaPro? Each canister/tub can be purchased for £56 at full retail prices, or sign up with us (UK’s #1 distributor) and pay just £42 per canister. Read Isagenix IsaPro Whey Protein reviews from real Isagenix UK customers!